according to Environmental Protection Administration of the country. Those under the food insdustries must stop providing plastic straws for their in store use. Department of Waste Management Interim Director-General Lai Ying-ying said that "You can use steel products, or edible straws or maybe you just dont need to use straws at all, there is no inconvenience caused at all." he added. 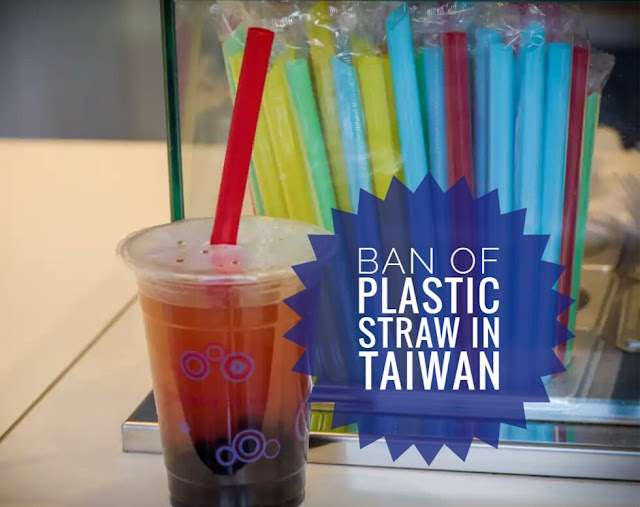 This rule is to reduce or eliminate the use of plastic straws, as it is the third most found plastic waste in the world. There is about 3 billion of used straws every year in the country itself. The EPA also planned to deter tea shops from giving customers plastic straws. Taiwan already banned stores and shops in providing plastic bags for free, as it is now included on the reciept invoice. The public has different views regarding the banning of plastic straws, others are in favor sa save the environment while other found it inconveniently.